Here are MSI GS65 Stealth Thin 8RF drivers for Windows 10 64 Bit you can download and install to get your laptop work properly. 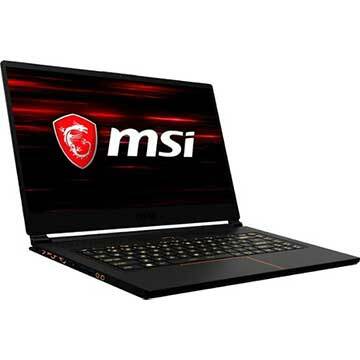 MSI GS65 Stealth Thin 8RF is 15.6 inch gaming laptop powered by up to 8th Gen. Intel Core i7 Processor and discrete GeForce GTX 1070 With Max-Q Design (8GB GDDR5 VRAM). This notebook comes with up to 32GB DDR4-2400 or DDR4-2666 system memory and M.2 SSD slot (NVMe PCIe Gen3) or M.2 SSD Combo to store documents. This mobile computer features : Killer ac Wi-Fi, Bluetooth v5, 720p HD web camera, Thunderbolt 3 port, DisplayPort, (4K @ 60Hz) HDMI port, Mini-DisplayPort, USB3.1 Gen2 Type C port, and 4-Cell Li-Polymer 82 Whr battery. This version is only supported Windows 10 RS4(1803) or later version. If your operating system is Windows 10 RS3(1709) or older version, we advise you to use this NVIDIA Graphics Driver.